PHOTOS: National Mathematical Centre (NMC), Abuja Sustainable Development Goals (SDGs) Olympiad Mathematics Competition Award Ceremony for Amazons from the 36 States and FCT and Crowning of 'Queen of Mathematics in Nigeria 2018'. The NMC Sustainable Development Goals (SDGs) Olympiad Mathematics Competition for 2018 has come to an end and the winners known as amazons, heroines and queen of mathematics in Nigeria has been revealed. 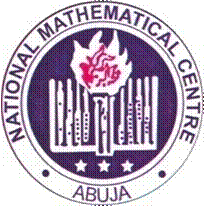 RECOMMENDED: NMC SDG Junior Girls Olympiad Maths Competition Results 2018/2019. 1. Tochukwu Ndukwe, 13, from Federal Government Girls College (FGGC) Leeja, Nsukka, Enugu State emerges the overall winner of the Nigerian Mathematics Queen Competition for 2018. 3. Olayiwola Adedagun, FGGC, Ketu, Osun came third at the competition.